Whether you are having a tropical theme prom, birthday, or any event where you want to make your guests feel welcome, this fun pineapple box will be on dressers or desks of your guests. 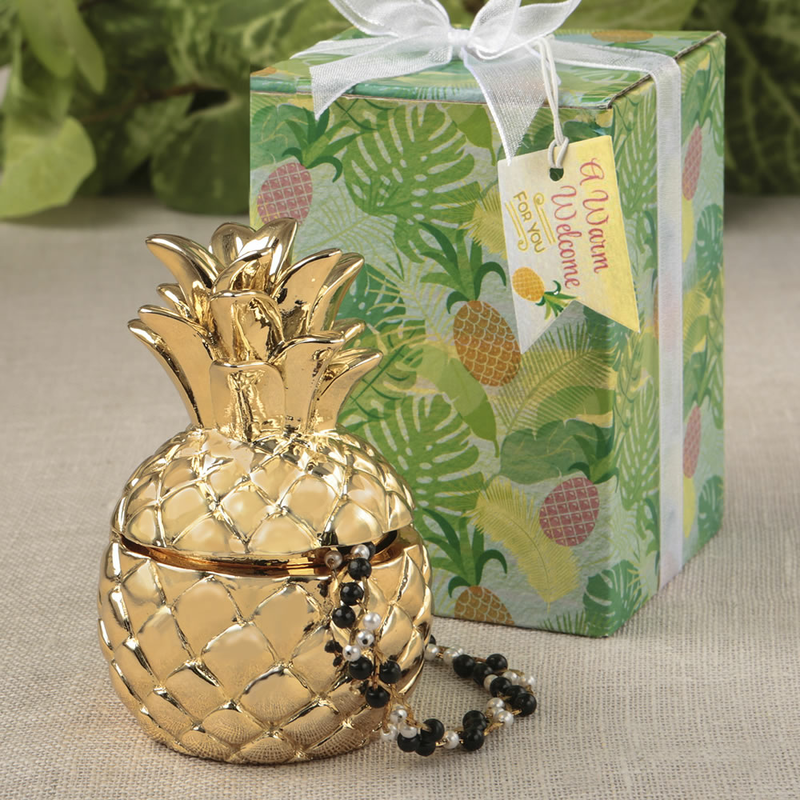 Measuring 3 1/4" x 2 1/8", each two-piece pineapple box is made from poly resin with a shiny gold metallic plated finish. The tropical box adds to the theme and will make guests excited to open it. It comes with a white organza ribbon wrap, bow, and tag with 'A Warm Welcome For You' .